and his followers, known as “The Poor Men of Lyons” preached in the common tongue. Lesson`, is in a clearly identifiable dialect the Waldensians used. meant they were all heretics anyway. Faith that was acceptable to the Reformers in Geneva. and his followers were excommunicated. 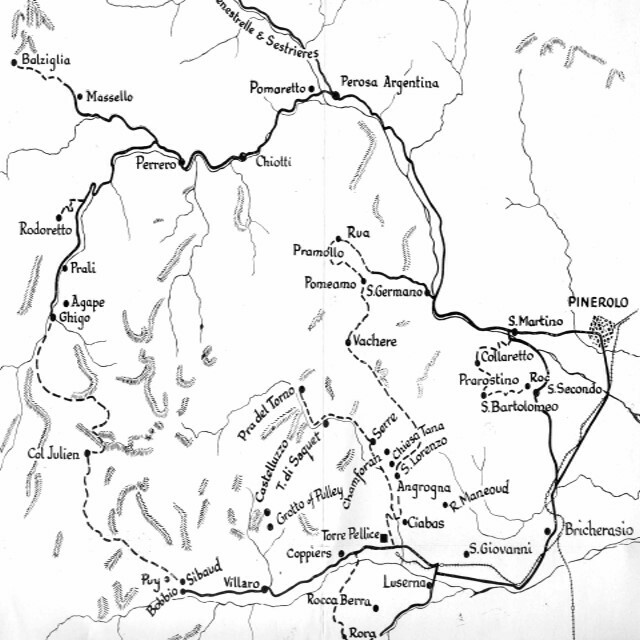 in north western Italy that extends between Turin and Grenoble to the west known as the Cottian Alps. were heretics to be pursued to extirpation. to exist – one each in Lyons, Grenoble, Zurich, Dublin and two in Paris. widely available in the south of France, Lombardy and Piedmont. man or man’s writing besides. the degrees of priests, deacons, and bishops. fountain of all errors, and the very antichrist. significance as later claimed by Rome and the Inquisition. Sorbonne in Paris, where they would often gain new members. trade when other merchants were recruited. of the Church of Rome. representatives – indicating the large number of adherents there were. citizens being lost to them. to flee.into the mountains and into a severe storm. least fifty children, some lying on the ice, others locked in their dead mother`s arms. St Bernard of Siena tried the honeyed words approach but failed dismally. Cuneo there was on average one martyrdom per year for twenty two years. thousand ruffians, thieves and murderers intent of reward and pillage. in the Val di Angrogna. including Pragelas which had suffered in the cold at Christmas 1386.
rallied and near defeat was turned to victory. this point they were truly part of the Reformation. the doctrine of two sacraments only – baptism and the Lord`s Supper. responsible for many deaths of those who resided near him at Pinerolo. 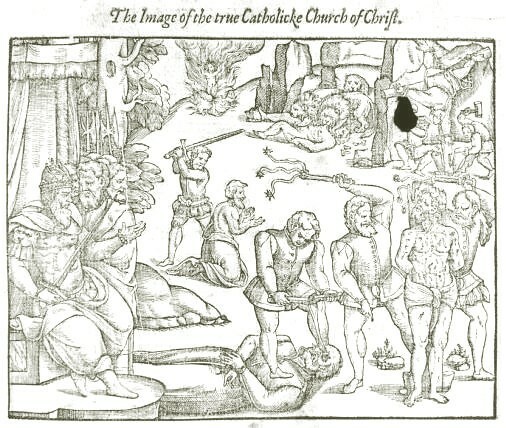 Treaty of Cambresis , 3 April 1559, there would be toleration of religion. gold dollars for the first, and the slave galleys for life for the second. not engage in business in order to avoid lying; swearing and deceit. are content with such things as they have. slaughtered because they dared to disagree with the priests. 1868 priests were still collecting bibles from homes and burning them. civil government matters by the domineering Church.